Buying a home—in Towne Lake, Woodstock, or anywhere for that matter—can be stressful. It’s a huge decision that could affect your family for years to come. At Ursula & Associates, we strive to make the home-buying process as stress-free and fun as possible. Part of this work involves knowing the local real estate market very well. When a potential home buyer calls and lists their needs and price point, we can quickly match them with several available homes on the market. 1. Does it meet your basic space needs? And will it still meet these needs in three years? If a listing has little storage space, too few bedrooms or doesn’t have that basement you’ve always dreamed of, you might need to keep looking. Come up with a list of must-haves for your potential new home so you know ahead of time the number of bathrooms you desire, whether you need home office space, a finished basement, etc. 2. Is it in the school district you prefer for your child? Cherokee County and Cobb County have some excellent schools. The older the age of your children, the less likely they will want to change to a different school. 3. Decide ahead of time just how many projects you would be willing to tackle to update/change the home you are buying. If you want move-in ready, a long to-do list of renovation projects will not work for your family. On the other hand, some changes are easy enough to accomplish—paint, new flooring, etc. 4. Are the common areas of the home—the spaces you will live in the most—exactly what you envisioned for your family? Living rooms, family rooms and kitchens are often the most important areas. If they are too small or too segmented for your style, you will quickly become disillusioned at your new address. 5. Outdoor space—how important is this to your family and how much space will you need? Some people like having small yards as it’s less to maintain. Others want to have room for a large deck, grilling area, play area, etc. 6. 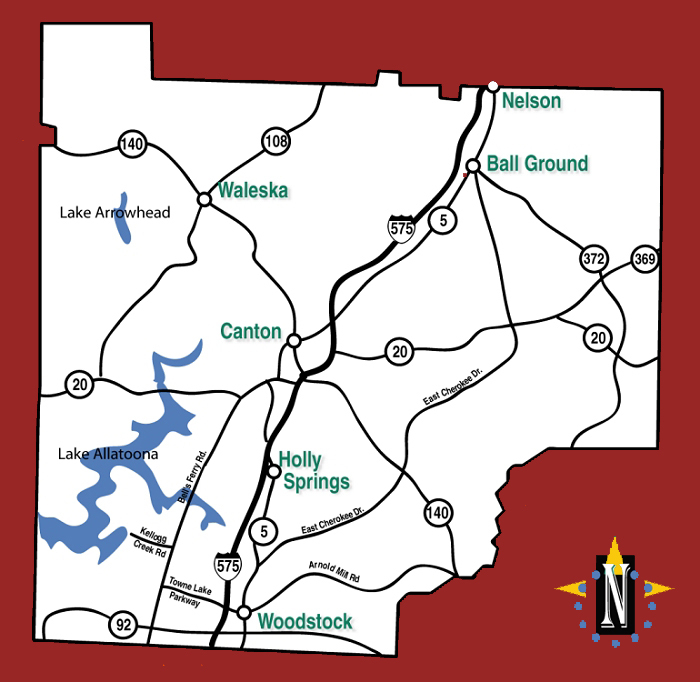 Community amenities—the Towne Lake and BridgeMill areas, in particular, are known for having great neighborhood amenities in Cherokee County. Will you use facilities like tennis courts, golf courses, swimming pools, etc? Or are you about to pay higher HOA fees than you need to because you would never use these amenities? 7. Closely inspect your potential new home. It’s easy to get swept up in the process and only look at the big picture—the spaciousness of rooms, the newly renovated kitchen, etc. However, take a closer look, especially if you are visiting the home for the second time. Are the ceilings dated with that popcorn finish or have evidence of a past water leak? Do you see any cracks in the walls? Evidence of water leaks near windows? Does the roof seem dated or sag anywhere from street level? Do you get an overall sense that the home has been well-maintained or is it starting to show neglect? Please note we are not suggesting you forego a professional home inspection. Once you have selected the home you believe will be the perfect fit, we always recommend an independent inspection. It has saved our home buyers thousands of dollars and countless headaches down the road. 8. Does the home have curb appeal? And does the rest of the street have inviting, well-maintained homes? 9. Is there enough closet space in the house? This can become a real deal-breaker and can be difficult to add to an existing house. Reflect on storage space in the kitchens and bathroom as well. Is there a linen closet? Storage under the bathroom vanities or do they all feature pedestal sinks? 10. Location, location, location. This is an important consideration for just about any real estate purchase. Is your home close to the things you want to do—area parks, activities, shopping, restaurants, etc? Is it an acceptable distance from your place of work? At Ursula & Associates, our goal is to find the perfect home for your family’s needs. We will ask you a lot of questions about your needs and preferences so we can show you only those listings that most closely fit your needs. Our success with matching families and homes has been going on in Cherokee County, Cobb County and surrounding areas for about two decades. The large number of referrals we receive is a testimony to our team’s hard work and vast knowledge of the local real estate market. Contact us today with all your Cherokee County real estate questions! Find homes for sale, lots of photos and info. Click below.